For Every Indian, Sarkari Naukri is a dream sector to start and build their career. From school teachers to clerks and even software engineers are running behind Government sector for tension free jobs to earn money & make life as a settled one. We all know that government jobs have less workload and it provides a lot of comforts, compared to private sector jobs. In Sarkari Naukri, no over-time as well as extra weekends required. A government staff knows exactly which days and how long he is going to work, hence providing a more comfortable and relaxed life. Definitely one of the important benefits in the Sarkari Naukri is holidays and vacations. There are fixed number of holidays per year and definitely, it is more than that of the private sector jobs, and of course, all the government-declared holidays will also be provided to you. Sarkari jobs are not affected by the economy. There is very little chance that any government employee will ever lose the job. In the majority of the situations, the job is retained until the individual is eligible for retiring. Employees in Sarkari offices have a fixed income during their entire work term and the job security will be there until the end. Another benefit of the Sarkari job is that the working hours are good. In the private sector we have to consider the sale, marketing performances, target oriented work or deadline or sometimes we have to work on weekend to achieve the target or to please our manager for appraisal. But in the case of Sarkari Naukri, the timing is really good. Government employees will get lots of attractive benefits from the government of India. Most common benefits are, life-long health care insurance, pensions, quarters from the government, bank loans etc. Candidates are attracted towards Sarkari recruitment because they know that when they retire from their job, they will get full support from government of India from which they can simply enjoy their post-retire life with their pension plans. This will make their life comfortable and satisfying. Why Freshersworld for Sarkari Naukri??? Freshersworld is a No.1 Job site in India for freshers and experienced job seekers, where candidates can go through our latest and upcoming Sarkari Naukri lists including both Central & State Government jobs. Freshersworld helps the candidates to find the new vacancies published by the government of India for the recruitments in public sector. 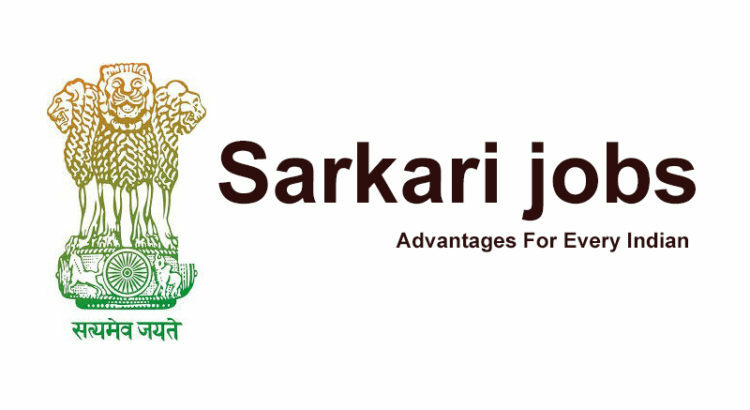 Our Sarkari Naukri pages notifies Diploma, Police, Public transportation, Defence, Indian Railway, Sports and healthcare vacancies at the earliest.. Currently, there are a lot of job opportunities for 10th pass, 12th pass, Diploma, BA, BE/B Tech, ME/M.Tech, BSc/MSc, BBA/MBA, BHM candidate. Whether you are a degree/pg. holder or you are just a 10th pass now it’s your turn…. There are infinite numbers of openings in different area and also for different qualification. We all are dreaming about a Sarkari Naukri in our life. So get latest job updates on Sarkari job openings (Govt jobs) on mail by registering with Freshersworld.com, in our website we will update Upcoming and Current Sarkari job vacancies with all details, to benefit Freshers/Experienced candidates. Just search freshersworld.com go to Sarkari Naukri and apply the suitable posts. And get ready to be placed…Good Luck!!! I have taken the Premium Membership. How do I use it?